This was a lucky find at the edge of a dusty road near a river which hadn't yet dried up. 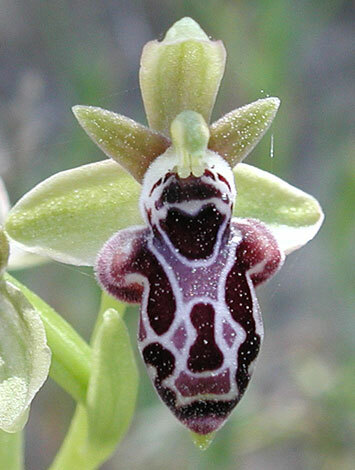 This is the only orchid of the many growing on Cyprus which is an endemic - a fact I didn't realise until a few days later. It is an uncommon orchid even on Cyprus which my wife found while I was busy photographing Trifolium stellatum in fruit. We never found another by ourselves on this holiday. Later in the week we were shown another plant on an organised trip near Hizarkoy. 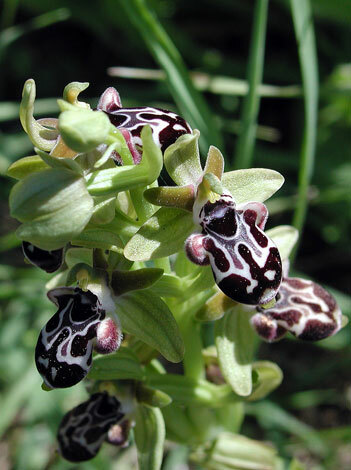 Ophrys kotschyi is named after the Austrian botanist Theodore Kotschy (1813 -1866) who botanised in Turkey, Iran , Egypt and Cyprus. 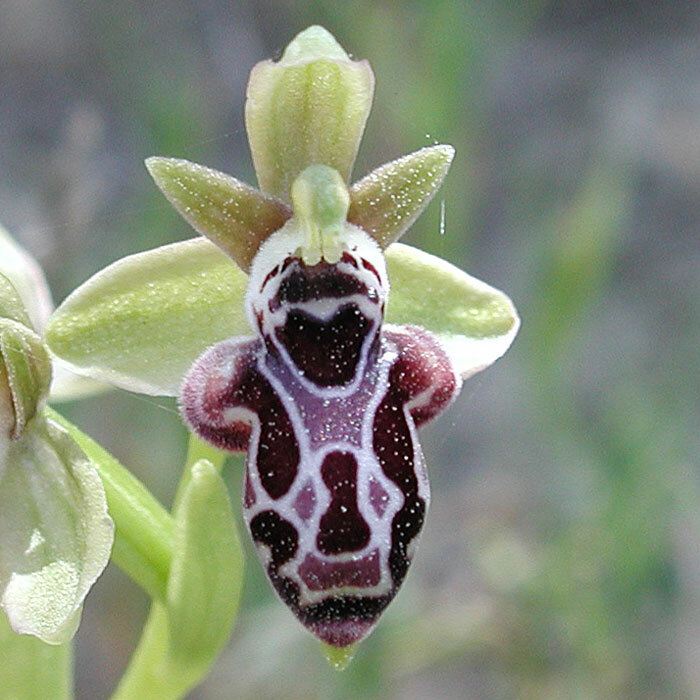 Taxonomy: All authorities agree that Ophrys kotschyi H.Fleischm. 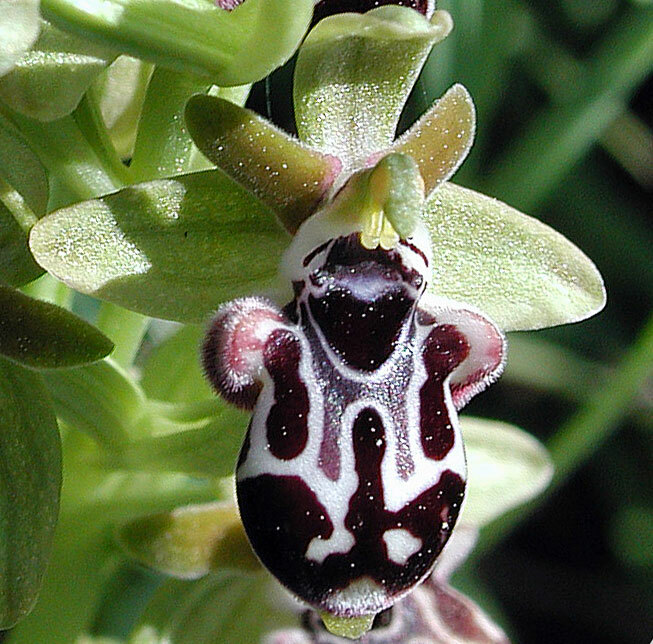 & Soó is the accepted name for this orchid.